This bird is one of Australia’s iconic animals. 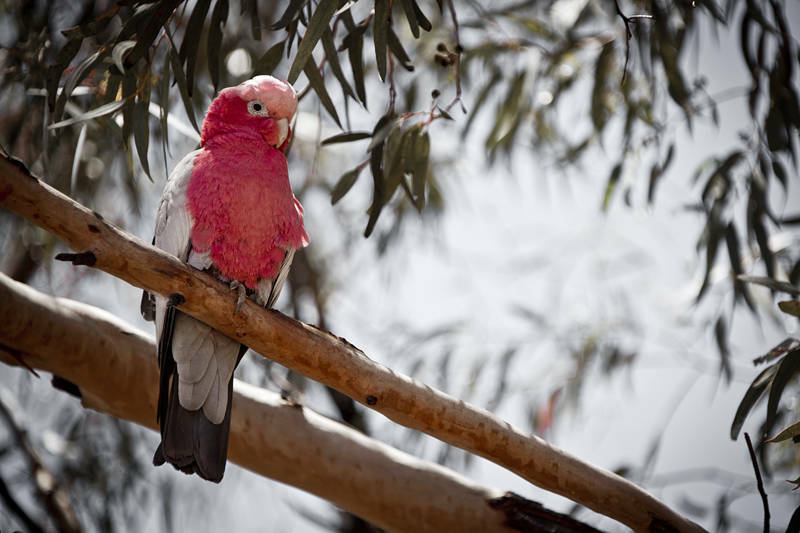 The Galah or Rose-breasted Cockatoo is one of the most common in mainland Australia. This one was in Kalgoorlie in the Goldfields of Western Australia. To process this image I desaturated the greens and boosted the reds. Some vignetting was also added to darken the edges.